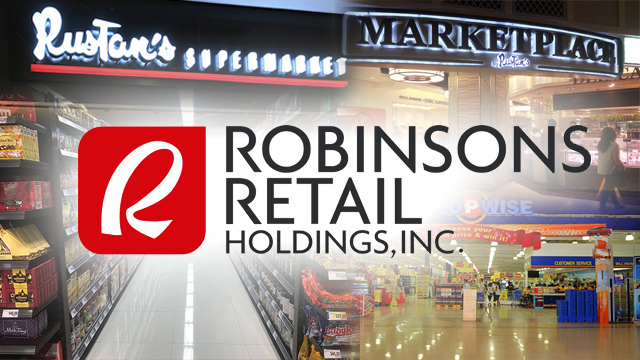 Robinsons Retail Holdings Inc. (RRHI), the Philippines' second-largest multi-format retailer, acquired full ownership of Rustan’s Supercenters Inc. (RSCI) in a share swap deal with Dairy Farm, an Asian retailer listed at the London Stock Exchange, RRHI said in a disclosure to the Philippine Stock Exchange (PSE) today. With the transaction, valued at Php18 billion, Robinsons Retail gained ownership of RSCI businesses and brands “Rustan’s Supermarket,” one of the country’s leading supermarket chains; “Marketplace by Rustan’s,” an upscale supermarket concept; “Shopwise Hypermarket” and “Shopwise Express,” which address the discount retail segment; and “Wellcome,” a neighborhood grocery chain. RSCI used to be owned by Tantoco family, which controls the publicly-listed SSI Group, the country’s leading specialty retailer with 638 specialty stores that cover 129,000 square meters as of end-2017. In 2012, the Tantoco family sold half of RSCI to Dairy Farm, which subsequently acquired the remaining half. In a statement, RRHI said the respective boards of the company and Mulgrave Corporation B.V. (MCBV), a wholly-owned member of Dairy Farms International Holdings Ltd. Group of Companies, have approved the acquisition by RRHI of MCBV’s 100-percent stake in RSCI. The deal was carried out through a shares-for-shares swap. While RRHI acquired MCBV’s shares in RSCI, MCBV, in turn, will acquire shares in RRHI. After the completion of the secondary share sale, in which members of the Gokongwei family will be selling shares in RRHI, Dairy Farm, through MCBV, will own 18.25 percent of RRHI. The Gokongwei family will own 51 percent of the company. The transaction will be completed after it is approved by the shareholders of RRHI and government regulators in the Philippine Competition Commission and the Securities and Exchange Commission. Based on information from their respective websites, Rustan’s Supermarket has 20 branches, Marketplace by Rustan’s, 10; Shopwise, 12; Shopwise Express, 6; and Wellcome, 19. RSCI’s revenues grew by an average of 9.9 percent in the past six years to 2015, when it hit Php22.3 billion, based on filings with the Securities and Exchange Commission (SEC). However, it has been suffering from losses from 2012 to 2015. Dairy Farm describes itself as a leading Asian-wide retailer that operates 7,100 outlets and employed some 200,000 people as of end-2017. Annual sales exceeded $21 billion last year. The group runs supermarkets, hypermarkets, convenience stores, health and beauty stores and home furnishings stores under well-known brands. In February 2018, it was reported to have secured government approval to acquire a 49-51 percent stake in Rose Pharmacy, a Cebu-based drug store chain that has 252 stores nationwide. RRHI is part of the conglomerate founded by John Gokongwei Jr., chairman emeritus of JG Summit Holdings Inc. and the country’s second richest billionaire with a net worth of $5.8 billion, according to Forbes magazine. Members of the Gokongwei family own and manage the media company that publishes Entrepreneur Philippines.